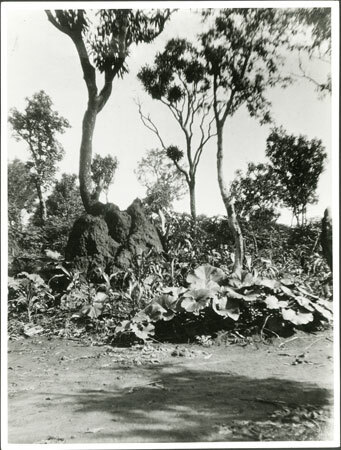 A section of cultivated garden with a termite (akedo) mound and trees, belonging to a man called Gami, who lived in Prince Rikita's province. One of the plants growing is groundnut (boko). Morton, Chris. "Zande garden" Southern Sudan Project (in development). 03 Jan. 2006. Pitt Rivers Museum. <http://southernsudan.prm.ox.ac.uk/details/2005.111.26/>.